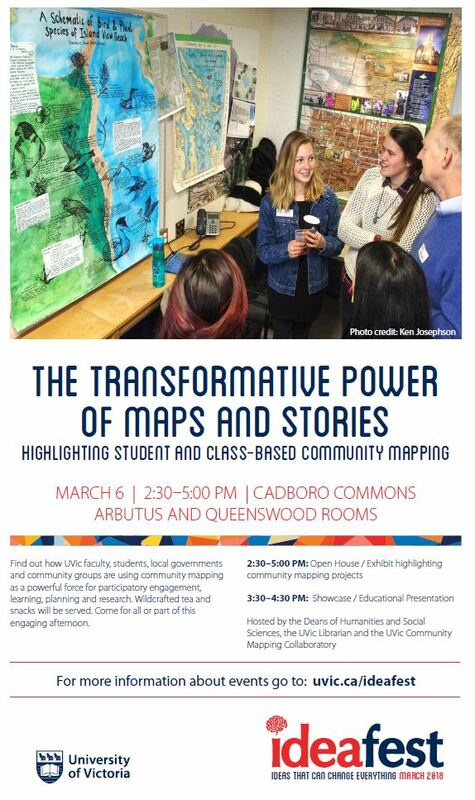 The Community Mapping Collaboratory is hosted in the University of Victoria's Geography department, in the David Turbin Building Rm B209. 10 project presentations showcasing some of UVic's best community mapping and related innovations, in a 5-minute, Pechakucha-like format. Snacks! Everyone Welcome! Wendy has been helping us out since April 2009, when she participated in the Community Mapping Course-I. Read more about Wendy: Web Wizard!